SEATTLE, WA: Big Trees Inc., (http://bigtreesupply.com/) a tree transplant company and tree nursery in the Seattle area, recently took on a part of a long-distance tree transplant across four states, from the Puget Sound to Salt Lake City. The company was hired by a private homeowner to help in taking a large Weeping Sequoia tree from a nursery in the Southern Puget Sound Area, Washington to their property in Salt Lake City, Utah. 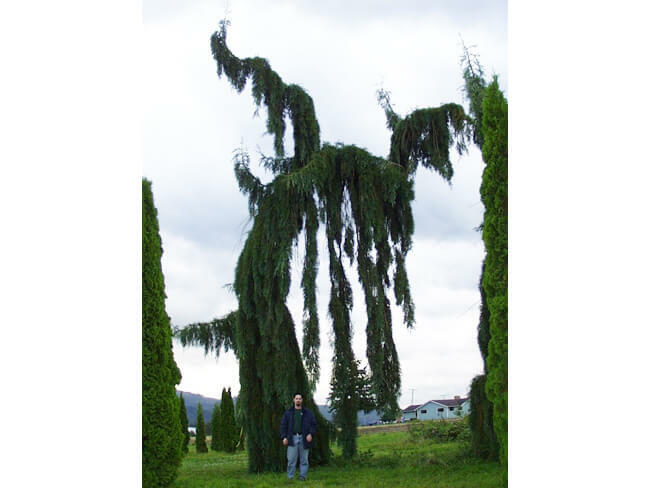 The company was contacted by a customer of a nursery who had found a large Weeping Sequoia tree, 22’ tall and 11” caliper, and wanted the tree transplanted to their property in Utah. The tree had been growing in the nursery for some decades, but despite the concerns over removing the tree and preserving the tree’s soil conditions the removal process was successful. According to Todd Holmes, Project Manager at Big Trees Inc who oversaw the procedure: “In spite of general concerns about the Sequoia’s soil conditions and logistics of getting it out of its long held position in the nursery, everything went exceptionally well and the tree was loaded out in good form.” The company then loaded the tree onto a large container semi-truck which proceeded to take the tree to Utah. The tree will be unloaded and handled by the customer’s landscaping team upon arrival on the property in Utah.